Our commitment is to help you as we have helped thousands of injured and/or disabled people over the past 30 years. Feel free to click on some videos below to see what some of our clients say about us. We hope, if someday you ever need a lawyer, that you will be a happy client too. I am very thankful and grateful thanks to my attorney Robin Gouveia and paralegal Maricza Allende these women was amazing understanding and a pleasure to work with they kept in contact throughout my whole case and fought hard for me and would not just settle they definitely get you what you deserve!!! I have told friend and family how good they was to me i would recommend them to anyone who has got injured in a accident they help you start your life and dreams over thank you so much ladies. I was involved in my first motor vehicle accident. I wasn’t planning on pursuing a case until I realized my pain was still there months later. When I decided to come into the office to speak with someone, they made arrangements to meet with me and go over everything until I had a good understanding of the process. Everyone was sweet, helpful and professional. They made everything easy and helped me feel like I was in good hands. If I had any questions at any time about my case, they would answer them with no hesitation. I highly recommend their Providence office. I had the pleasure of dealing with D. Robin Gouveia and Lisa Lennon. After being involved in a car accident in May 2017, I retained d’Oliveira & Associates in Attleboro, MA handle my case. From the very start I knew I was in good hands. Not only did they address every concern I had, but they went above and beyond negotiating for me and even got me more money than I anticipated. I cannot tell you how pleased I am with Lawyer Cara L. Gallucci & Kristen Dichiaro the paralegal . They both did an excellent job and I would highly recommend them . Thank you for turning my nightmare around Girls!!! My parents were involved in a serious car accident, they reached out to d’oliveira for advice about medical bills they were receiving. Ashley was super responsive and every time I reached out to her and quickly resolved any issues that came up during the process. Robin was always available when I reached out and they got everything resolved really quickly! I recently had a vehicle injury case. I went to d’Oliveira & Associates at 62 Hamlet Ave in Woonsocket RI. My Attorney was Cara Gallucci. She did a fantastic job and did what was needed to be done to settle the case. Kristen J DiChiaro was the Paralegal assigned to me, She made sure that I was informed of everything that was going on and guidance that I needed as to what had to be done on my end. Thank You all. My case was handled efficiently by my attorney Robin Gouveia and her staff. I was so lucky to have your firm represent me as my back healed nicely and I got a nice settlement. I will definitely recommend your services to others. I contacted d’Oliveira & Associates because I had heard good things about them. I greatly appreciated the fact that I was well informed by my paralegal Lindsay. I was so happy with the settlement that Attorney Robin Gouveia. Everything was satisfactory. I called the law firm because of their ad on TV. My paralegal Lindsay did a good job keeping me updated but I was most impressed with how quickly my attorney Robin was able to resolve my case. They were very kind with what they did and my family was very thankful for their service. I had heard good things about d’Oliveira & Associates so I contacted them about my auto accident. My paralegal Melissa did a good job updating me on my case. The best thing was that Attorney Laura Cameron was able to complete my case in a most timely manner and she got me an excellent settlement. She did a great job handling the case even though the insurance company tried to make things difficult. I got in touch with the law firm after I saw one of their ads on TV. I definitely appreciated that they were able to make a home visit and they were professional and caring. My attorney Laura got me a great settlement even though the insurance company was difficult to work with. I would absolutely recommend this law firm. My attorney, Laura Cameron, did an excellent job handling my case. When I talked to her I always felt that the particulars of the case were very well explained and my concerns were clarified and addressed professionally. I very much felt as though I was being advocated for. I am very satisfied on a scale of 1-10 I give them a 10! What I liked best was that Attorney Laura Cameron never took the lowest settlement offers and she helped me get what I deserved. My case was handled so well there could not have been a better way! Everything was excellent and I will absolutely use them again if I need a lawyer! I contacted d’Oliveira & Associates after finding them on the internet. This was my first legal thing in the States and my attorney Robin did an outstanding job explaining the process. I was pleased with the timely updates and the flexibility and clarity of communication from my paralegal Donna. My settlement was great and I would recommend them this law firm to others in my situation. I will definitely come back to d’Oliveira & Associates for legal advice in the future. My paralegal Donna was so friendly. She returned my phone calls in a timely fashion, I wasn’t left waiting. Also, everyone I talked to was very professional. My paralegal Lindsay Ferreira was very professional and was always ready to update me on my case. I was also very pleased with the settlement Attorney Robin Gouveia was able to get me. Additionally, she always followed up with me immediately, which made me feel valued. d’Oliveira & Associates did an excellent job and I would recommend them to anyone who needs an attorney. My paralegal Donna Medeiros was great. She always took time to return my phone calls and update me on the status of my case. Also, Attorney Robin Gouveia always answered my questions in a way that I could understand. They did an excellent job handling my auto accident case and I would recommend them to anyone who needs legal advice regarding an injury. I picked d’Oliveira & Associates because I had seen their ads on TV. My paralegal Lisa was always super fast in returning my e-mails. I was also very happy with the settlement Attorney Robin Gouveia got me. They Did Great! The law firm of d’Oliveira & Associates was referred to me by a good friend of mine. I was very satisfied with the way my case was handed. They were extremely professional and they always kept me up to date on my case. My paralegal Jamie Sauco was excellent at returning my calls and I was very grateful for her hard work. I would recommend them to anyone who needs an advocate. I chose d’Oliveira because I saw one of their commercials on TV. My paralegal Jamie was excellent at returning my calls and keeping me updated on my case. When I called they sent One of their staff to my house, which was very convenient for me. My lawyer was very professional and quite friendly. I was satisfied with my settlement check, and I will recommend them to anyone in need of a lawyer. I called the lawyers at d’Oliveira & Associates about my auto accident after seeing their ad on TV. The efficiency at which everything was handled left me feeling carefree and confident. Attorney Robin Gouveia helped me receive an excellent settlement. I will definitely call them again if I ever need a personal injury lawyer in the future. I contacted d’Oliveira & Associates after my child was injured in an auto accident. I talked to paralegal Lisa Ferreira who did an excellent job explaining everything to me. The staff did a great job keeping me informed about my case and they were always professional. I will definitely call them again if I need legal advice. I found the law firm online and got in touch with them. My paralegal Lindsay was professional and did a good job talking to me about my case. I feel that everything was done to the best standard. I really liked that all I had to worry about was seeking treatment. The rest was on my lawyer Robin and she was excellent. I contacted d’Oliveira & Associates because I had heard good things about the firm and I needed help after I was injured in an auto accident. The legal staff was very caring and helpful through the entire process. I was impressed with Attorney Robin Gouveia and the settlement she was able to get me. Attorney Robin Gouveia and my paralegal Donna Medeiros both did an exellent job on my case. Whenever I called, someone always called me back. I would rate them exellent on many areas such as the final settlement I got and updating me on my case. I would definitely go back to them again. I have dealt with many attorneys before but no one was as professional as d’Oliveira & Associates. My paralegal Lindsay Ferreira did an excellent job returning my phone calls and she always kept me updated on my case. I was pleased with my final settlement and would recommend them to anyone who needs a personal injury lawyer. I couldn’t be happier with the legal services that d’Oliveira & Associates provided for me. My paralegal Lisa Ferreira always kept me updated and was very helpful in answering all of my questions. I am happy with my settlement and the speed with which my case was resolved. I would recommend this law firm to anyone who needs an attorney. First, I would like to give my sincere THANK-YOU for all you have done to get my settlement. I was very satisfied with the way my case was settled, and I would recommend d’Oliveira & Associates to anyone looking for an attorney. Both my paralegal Jill and attorney Cara Gallucci were excellent in returning my calls and keeping me updated on my case. Their professionalism was wonderful, and if I ever need an attorney, I will be back. My paralegal Lisa was fantastic. She always talked with me when I called, and was always very professional. They always let me know what was going on with my case. My attorney was also very friendly, and my settlement was excellent. I would recommend them to anyone who needs a lawyer. I contacted d’Oliveira & Associates after receiving a severe dog bite. I met with Laura Cameron at the Warwick office and at the first meeting knew I had made the right decision. I felt comfortable and in good hands, confident that she would do all she could do to get me a fair settlement. Laura and Jamie kept me updated with the progress of my case on a regular basis, informing me of my options and how things would progress from that point. With their hard work I received a fair settlement and I would recommend the firm of d’Oliveira & Associates to anyone in need of help. My attorney Laura Cameron and my paralegal Lisa Rose did an excellent job regarding virtually everything. They returned my phone calls and gave me timely updates on my case. It was an excellent settlement. Everything was great. Thank you Lisa for putting up with me, calling me all the time, etc. My attorney Laura Cameron was EXCELLENT. She always returned my calls, was very friendly and always kept me up to date on my case. I was very happy with my settlement, and the staff was great too. I know the next time I or someone I know needs an attorney, I’m going to call d’Oliveira & Associates. I was very pleased with how my case was handled especially with my attorney Robin Gouveia. My paralegal Lisa Lennon always took my calls and I dont feel there was anything that could have been improved. I would highly recommend this company for their understanding, quick action, and follow-through of my case. There motto: “we mean business” is exactly what they do. I had applied for Social Security disability and in April 2011 I received a rejection from them. I decided to find a lawyer who specialized in this. I looked through the yellow pages and saw an ad for d’Oliveira & Associates and decided that they were the ones I wanted. I contacted them April 2011 and I got an appointment quickly. My first visit took about an hour to give them all the information they needed to get started. I received a call from Cara Gallucci who introduced herself as my attorney stating she would represent me in my case. She also covered what I needed to do in regards to any and all doctor appointments and that I should keep in contact with them whenever I had an appointment and any subsequent appointments scheduled so if I did not call them within a day either Ms. Gallucci or her assistant Jill Johnson would call me for any updates. I received my approval from Social Security disability in November 2011. I would recommend this company to anyone who is looking for quick action and good assistants. After an auto accident I was in this previous October I decided to look for a lawyer. I remembered their commercials so I gave them a call. I spoke with Cara Gallucci who was just spectacular with everything she did, she was so efficient and always had quick action. She also explained to me everything that was happening every step of the way. My paralegal was Jill Johnson who was also very helpful and kind. Only four months later my case was closed and I received my check. They defiantly follow their motto, because they mean business. I would recommend the North Smithfield firm on Eddie Dowling Hwy, the lawyers are helpful, quick, and friendly. I had a wonderful experience, five stars! I was impressed with how quickly things progressed with my case and I appreciated my attorney Robin Gouveia’s no nonsense approach. I did not have a big case but was treated with the same care as a bigger case would get. I would refer d’Oliveira & Associates to anyone who needed a personal injury attorney. I went to d’Oliveira & Associates because I saw their ads on tv and I’m glad I did. My attorney Robin Gouveia and my paralegal Donna did a very good job at handling my case. They were good at returning my phone calls and in getting me a good settlement in a reasonable period of time. I was satisfied the way my case was handled and would recommend them to others. I was very happy with my attorney Cara Gallucci and my paralegal Jill who represented me regarding my SSD case. To be honest, I was very satisfied with everything. My attorney Robin Gouveia did a great job with everything. She got me an exellent settlement and it did not take long. My paralegal Lindsay was great too as they both kept me informed about my case. They always returned my calls too. I will recommend d’Oliveira & Associates to everyone I know. I would absolutely go back to them. Life sometimes comes with unfortunate circumstances like an automobile accident however; calling d’Oliveira & Associates for assistance was the right choice. My experience from the first visit with Attorney Rebecca and Paralegal Lisa was wonderful. I couldn’t have asked for a more professional law firm that listened to my concerns, explained what would take place and kept me informed the entire way through. Thank you d’Oliveia & Associates for everything it was a pleasure working with you! I recommend to everyone make the call to d’Oliveira & Associates. I contacted d’Olivera & Associates after recieving a severe dog bite. I met with Laura Cameron at the Warwick office and from the first meeting knew I had made the right decision. I felt comfortable and in good hands, confident that she would do all she could to get me a fair settlement. Laura and Jamie kept me updated with the progress of my case on a regular basis, informing me of my options and how things would progress from that point. The put much effort into my case and with their hard work I recieved a fair settlement and I would recommend the firm of d’Olivera and Associates to anyone in need of help. My total experience was great! Lisa L. the paralegal, was excellent. She worked with me and I have nothing but good to say about my experience. I would recommend them to anyone. During the the time I was a client of d’Oliveira & Associates, I had excellent dealings with the people who were representing me for my personal injury case. Every action that was taken was as timely as could be expected and the results were top notch! My lawyer Cara Gallucci took the time to explain everything that was happening as it was happening and why. She also took great strides and was very patient with me when things came down to the inevitable “waiting game”. I would definitely highly recommend this firm to anyone who wants courteous lawyers, who take the time to get to know everything there is to know about you and your case and get the job done in a professional manner. Two thumbs up for d’Oliveira & Associates!! Everything was wonderful. My paralegal, Lisa Lennon was so nice to talk to and she always took the time to listen to me. They were just like their commercial says…they mean business. I really like d’Oliveira & Associates because they took away all the stress I had over my personal injury case. They took care of everything for me. The staff in the East Providence office, including my attorney Robin Gouveia, were all wonderful and very pleasant to deal with. Everyone in the Pawtucket office was so pleasant to me…even the support staff. They got me more money from the insurance company than I could get on my own and they got me my settlement quickly. Everything was great. My lawyer Robin Gouveia and paralegal Lisa Lennon both kept me informed throughout the whole process. I was very happy with the service I got at d’Oliveira & Associates. I recommend them to everyone! My experience with d’Oliveira & Associates was awesome! I could not ask for anymore from Lisa L, the paralegal. She always called me with updates and kept me informed of what was next. If you are looking for a fast return from your accident, call d’Oliveira & Associates. I recommend them to everyone! I was very happy with everyone at d’Oliveira & Associates. They were so fast at getting me a settlement, and I am really happy with the settlement I got. I thought everyone, including my attorney Robin Gouveia, did great. I went to d’Oliveira & Associates at the recommendation of a friend and I am so glad I did. I was real pleased. We would like to say “thank you” so much for taking care of our case so effectively. Attorney Gallucci was a great choice for my family’s legal needs. From the beginning, she informed and gave my family good advice about what we needed to do to have a good outcome with our case. Your professionalism and attention to detail have been spot-on in all aspects of the services you provided us. Whenever I contacted the office, I never had to wait to talk to someone. In fact, the entire staff, most notably Jill was extremely helpful and professional at all times and also very diligent in contacting me for updates. We would recommend to anyone seeking council that they can be assured of fair and competent service with your offices. I saw them on tv and called them and Im glad I did. My attorney Laura Cameron was exellent in returning phone calls, updates on the status of my case, in the time it took to settle my case and in the final settlement. My paralegal Jamie was also exellent in these as well as being curteous and friendly. There was nothing about the way they handled my case that could be improved and I would hire them again if I needed a law firm. I chose d’Oliveira because I had just moved to RI and had seen their commercials on TV. I got hit by a young lady while riding my motorcycle. After d’Oliveira went after her, she disappeared. Even her family couldn’t locate her. (total BS) d’Oliveira used every imaginable way to locater her. They finally did after a few years of looking. The girl had gone off the grid, but they found her anyway! Once she was located, things were able to move forward, despite her insurance companies best attempts to stop them. My lawyer was a pit-bull. My legal aid was awesome. They kept me in the loop the entire time. Although it took longer than I expected because of the young ladie’s vanishing act and her New Jersey insurance companie’s refusal to work with my attorney, the end result was better than I dreamed of. After the settlement, lots of hospitals, insurance companies, the VA and others tried to get their hand in the pot. My lawyer and her aid fought tirelessly against them. The result? A couple of weeks later I got another HUGE check because my attorney had convinced them I deserved the money and the oranizations with liens against it didn’t. They used expert testimony and got me more than I expected. Hopefully, I will never need an lawyer for something like this again, but if I do, I’m calling d’Oliveira. you guys were awesome, I have nothing else to say, just awesome. I thought everyone, including my attorney Robin Gouveia, that I dealt with was great. I especially liked the gentleman who came to my house to meet with me initially named John. My paralegal Lisa Lennon always returned my phone calls and answered all of my questions. Alot of time they called me just to find out how I was feeling. It was great. Everything’s really good” I’m so glad I hired the law firm of d’Oliveira & Associates to represent me with my personal injury case. I was very happy with d’Oliveira & Associates.” They were there to help whenever I needed it. If I had a questions, my paralegal, Lisa always had the answer for me. The whole process went so smoothly for me. I really enjoyed the service I received. The lawyer was fantastic! Attorney Cara Gallucci and her paralegal staff were very professional and resolved my case in a timely manner. I liked Attorney Cara Gallucci as my lawyer, and Jill Johnson as my paralegal. outstanding job. Thank You. Attorney Laura Cameron was awesome. She got extra funds for me from the guy who hit me with his van. Thank You. My paralegal Jamie is a great asset for the Warwick office. She had wise words for me every time I was feeling down. God Bless her. My Attorney Robin Gouveia is very knowledgeable of the laws regarding my case and I am very happy with her representation. She has been very polite and helpful and shows a genuine concern for me. I am happy I chose d’Oliveira & Associates to represent me in my personal injury case. The answering service at d’Oliveira & Associates is very convenient. There is always a friendly voice to answer and address your questions and concerns. After taking down your initial information, you can be sure that someone knowledgable will be assessing your claim, and that someone will get back to you within only a short period of time. d’Oliveira and Associates’ website is very expansive and can help inform you on a number of issues if you think that you require legal assistance. If you are not sure whether you have a legal claim, you can call d’Oliveira & Associates to find out. They are sensitive to the fact that you may be experiencing a hard time, and will accomodate your needs. Their legal staff is exposed to multiple functions and responsibilities thus making them more valuable and able to step in to support their team in each office as the need dictates. I think in this day and time it says a lot when a business has flourished and continues to grow in such a challenging economy. They do so because of the foundation of integrity and hard, ethical work from which this firm was built on. They have been serving and advocating for people that have been injured for over (22) Twenty-Two years.They have a very compassionate and respected staff of legal professionals that are the voice of many injured people, and have an administrative support team in place that is like no other. The firm is structured in such a way that the legal staff can do just that, they are free to focus on the legal aspects of the clients case and build relationships with clients.d’Oliveira & Associates is an ever changing Firm that will continue to grow and change to meet the challenges of their clientele while remaining steadfast in their commitment to providing their clients the best quality, ethical and compassionate legal representation of the highest caliber. 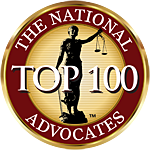 I am proud and thankful to be a part of such a prestigious and compassionate personal injury law firm.